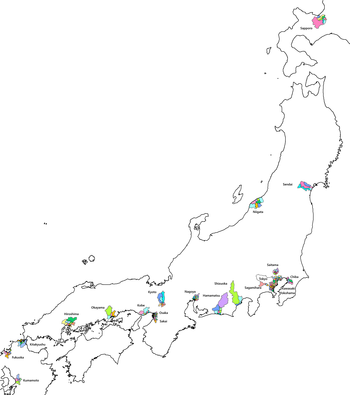 Japanese cities subdivided into wards. Since this map was made the following additional cities have been divided into wards: Hamamatsu (between Nagoya and Shizuoka), Okayama (between Hiroshima and Kobe), Sapporo and Kumamoto (beyond map scope). The special wards of Tokyo are not normal wards in the usual sense of the term, but instead an administrative unit governed similar to cities. This page was last edited on 10 April 2019, at 21:30 (UTC).